Biarritz Olympique and Ulster Rugby will bring the curtain down on the opening two weekends of the 16th season of Heineken Cup when they clash at Parc des Sports Aguilera in a contest that could have a major bearing on the final outcome of Pool 4. Ulster Rugby made sure of banking maximum points on the opening night of the tournament with four tries against Italian newcomers Aironi Rugby but outside half Ian Humphreys accepts they face a far tougher task against last season’s Heineken Cup finalists. “The Heineken Cup is a big step up and Biarritz were runners up last year so it’s a massive challenge for us – but it is also the kind of challenge that allows us to see how good we are,” said the player now filling the No 10 boots of elder brother David at Ravenhill and one of the try scorers against Aironi. “We think we have done pretty well so far but Sunday will be a real test. “It is going to be tough going down there but, if we can perform as we know we can, we can definitely get something out of the game. “It is still early days but we are unbeaten and we’ll take plenty of positives. We’re going down there full of confidence. If we can play like we did against Aironi, cut out the mistakes and play at that intensity, not many teams will be able to live with us. “We have got to go there with confidence. We’re on a roll, winning is a habit and at the moment we’ve got that habit and hopefully it can continue next week. “It was an enjoyable opener as I think we all had the mindset that we were going to play a bit of rugby. We tried to lift the intensity and I think Aironi struggled to deal with that at times. Ulster Rugby – the 1999 tournament winners – have failed to qualify for the knock-out stages for the 11 seasons since then and head coach Brian McLaughlin was pleased to have got off to a five-point start with higher mountains to climb. “It has been an exceptional start,” he said. “We are very happy with where we are, we think we’re in a good place and we know we can still play better. 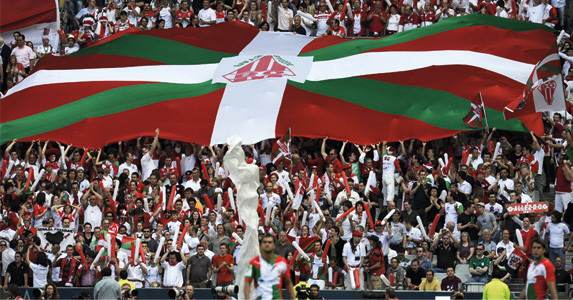 “Biarritz are last year’s runners up, they’re a smashing side and we’re under no illusions. “Aironi are a very tough physical pack and things will be no different in Biarritz. We have to make sure we deal with that and match their physicality. “And they will be a different proposition on their own patch but we’re going to go there with a lot of confidence. If we can make sure we take our opportunities when they arise, well, who knows? “The set scrum was a particularly pleasing point for me against Aironi. “It was solid throughout the game and all credit to the front row, I thought Tom Court and Bryan Young did exceptionally well, along with Rory Best as well.